This is an unusual toy but a very popular one. 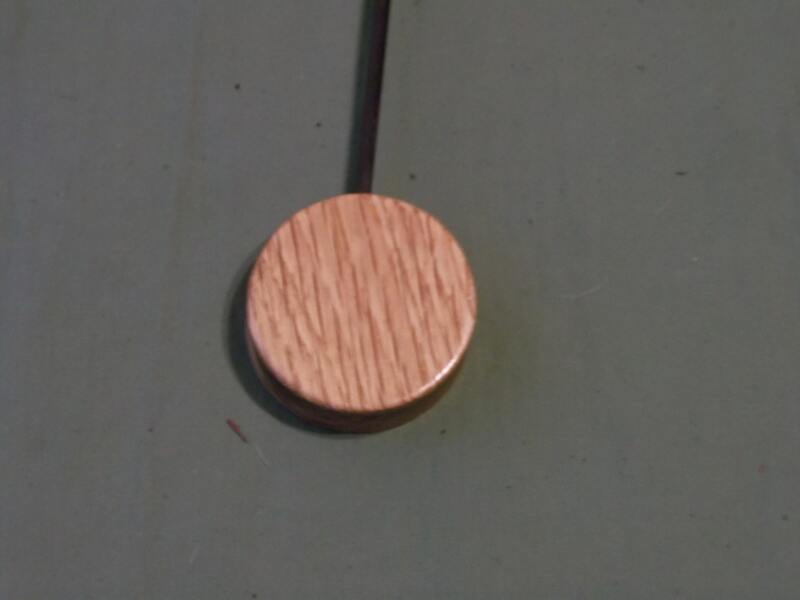 This toy features a 1 1/2" diameter and 1/2" thick wood circle at the top of a carbon fiber rod. 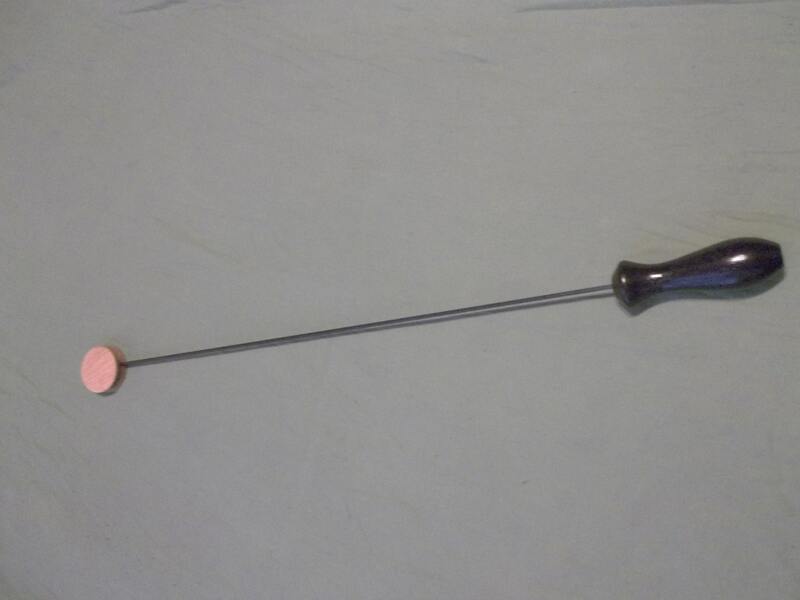 This item is about 22" from end to end and features a 4" handle. It can and will leave perfect little circle marks from its use. HOWEVER, as with all items from my store, please play safely. These items can cause serious injury if used improperly.